Free shipping. Buy direct from HP. 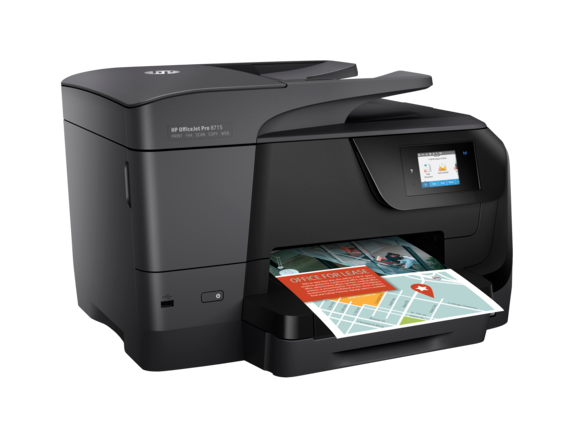 See customer reviews and comparisons for the HP OfficeJet Pro 8715 All-in-One Printer. Upgrades and savings on select products. The functionality of your printer can either enhance or detract from the productivity of your office. Relying on an old printer means constant jams, complicated menu screens, smeared ink, and subpar color reproduction. Don’t you think it’s time say goodbye to those substandard results? 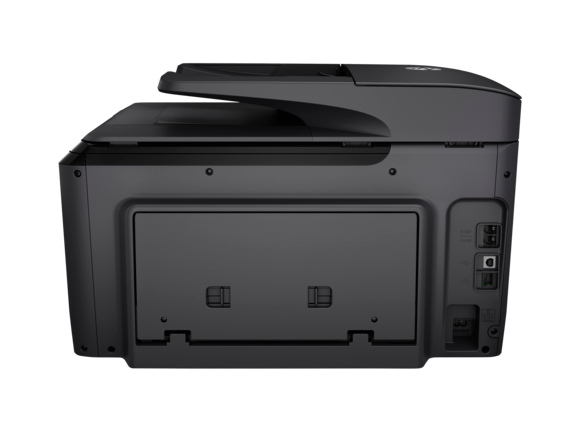 Ditch your old, outdated printer and stay within budget with one the most popular models of HP OfficeJet printers: the HP OfficeJet Pro 8715 printer. This device allows you to meet the demands of your business and make a positive impact on your overall printing efficiency. You can expect incredible color quality and crisp, black text at up to 50% less cost per page compared to laser printers. Plus, you can print up to twice as many pages with optional HP high-yield ink cartridges. Documents with Original HP ink cartridges are water, fade, and smear-resistant so your first print is just as good as the last. It’s important that the printed documents going to your clients are professional. Trust your business reports, emails, and other business documents to a printer that can do it all - the HP OfficeJet Pro 8715. Your clients don’t wait around, so why should you wait around for your printer? Your first page out for black-and-white printing will be out in as fast as 9 seconds, and for color just 10 seconds. For printing black-and-white documents, you can expect up to 22 pages per minute (ppm). And when you’re printing color documents, you can expect up to 18 ppm. 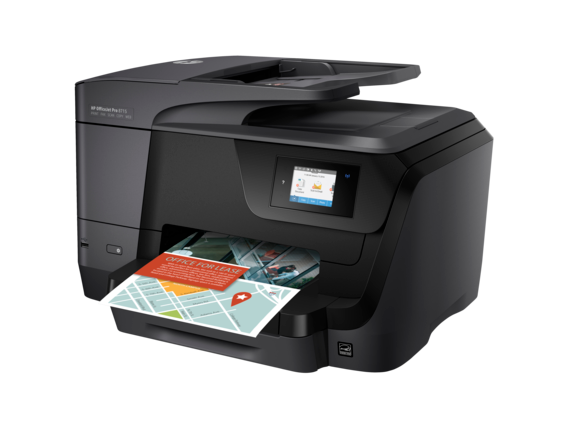 A monthly duty cycle of up to 25,000 pages proves the HP OfficeJet Pro 8715 all-in-one printer’s workhorse status. It won’t stop until you do. Automatic two-sided printing, copying, and scanning allows you to produce the documents you need while eliminating additional waste. As an EPEAT® Silver certified device, you can rest assured you’re saving precious utility resources while accomplishing important work projects. You won’t need your magnifying reading glasses for the menu controls on this printer. Intuitive controls allow you to manage all of your print jobs and access shortcuts, just touch and swipe the 2.65-inch touch screen. Scan digital files right to your email, network folders, and the cloud with preloaded business apps to streamline your workflow. Use your all-in-one printer to its full capacity. Print, scan, fax, and copy files to get through your work to-do list with panache. Plus, a 50-page document feeder means you can get a large amount of printing jobs done in a short amount of time to make way for other business-critical tasks. For color printing, you’ll enjoy beautifully-blended colors at up to 4800 x 1200 optimized dots per inch. And for black and white printing, expect 1200 x 1200 rendered dots per inch. In terms of print quality, this means you will receive life-like, accurate color and crisp, clean lines of text. 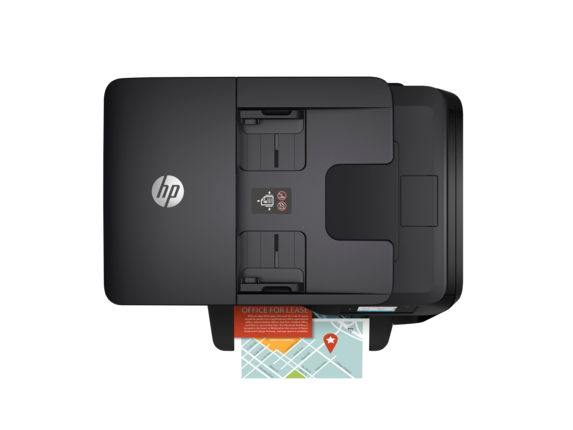 In addition, 128MB of memory come standard with the HP OfficeJet Pro 8715 all-in-one printer so you’ll always have a device capable of handling and processing several print jobs at once without freezing or crashing. It’s time to say goodbye to being chained to your printer. You can now print from your mobile device without having to access your network, from anywhere you choose in the office. Easily print documents, photos, and more from a variety of smartphones and tablets with HP ePrint, Apple AirPrint, and Wireless Direct Printing. Have an office that relies heavily on printed documents for day-to-day operations? Enjoy a printer designed from the ground up to maximize efficiency with an impressive 250-sheet input tray and a 150-sheet output tray. Supported media sizes include A4, A5, A6, B5 (JIS), and envelope (DL, C5, C6) because HP® realizes that business needs aren’t static and your printer should follow suit. Media types supported include plain paper, HP photo papers, HP matte brochure or professional paper, HP glossy brochure, textured papers, and many others. With HP’s JetAdvantage Private Print, you can use a variety of authentication options, including QR codes or card readers when you print. It also provides you with print job tracking which you can synchronize with HP JetAdvantage Insights for more in-depth analyses to help you optimize your printing processes. This will help give you peace-of-mind when you need to print sensitive documents such as client information or financial data on shared printers. Plus, it helps to eliminate waste from forgotten and accidental print jobs. 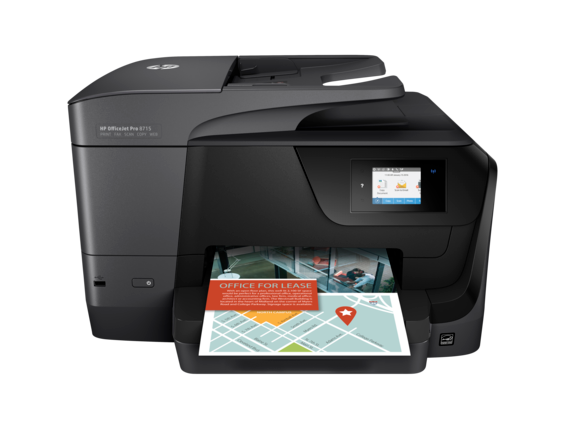 HP printers range from all-in-one devices and photo printers, to industry-level printers capable of printing out large-scale banners and advertisements. Whatever your printing needs, HP® has the answer in the form of an amazing printer boldly going where no printer has gone before.